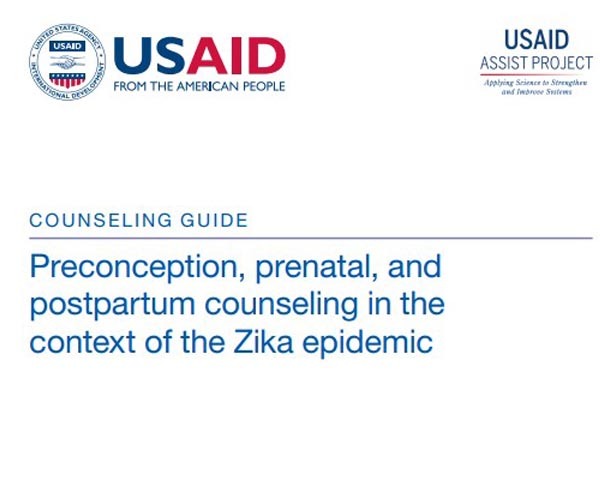 This guide in Spanish (and English) focuses on counseling on family planning, prenatal and postpartum care in the Zika context. Based on national and international standards, it has been specifically designed to assist health personnel who provide care to women of reproductive age in the regions affected by the Zika virus. This February 2018 version was revised from the original guide (published in Spanish in October 2016) to include updated Zika prevention and care recommendations and feedback from USAID and the implementing partners involved in the response to Zika. How is it different from other forms of interpersonal communication? Who should carry out the counseling? What are the characteristics of a good counselor? What type of patient responds well to counseling? What are the recommended steps to advise a client or client? What tools are available to help provide high quality counseling services? When is Zika counseling recommended?